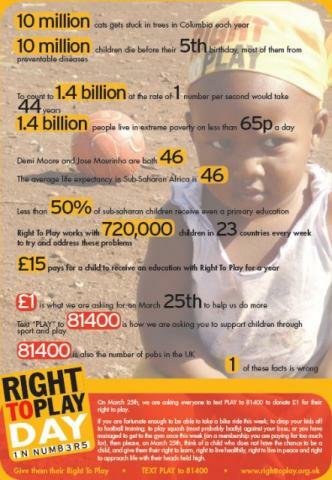 Right To Play Day is coming up soon on the 25th March. For your opporunity to support this charity who use sport to better the lives of 720,000 children each week in more than 20 of the world’s most impoverished countries, simply text Play to 81400. For more information see the poster here or visit the website here. Today I received my MBE officially from the Queen at a fantastic ceremony in Buckingham Palace. 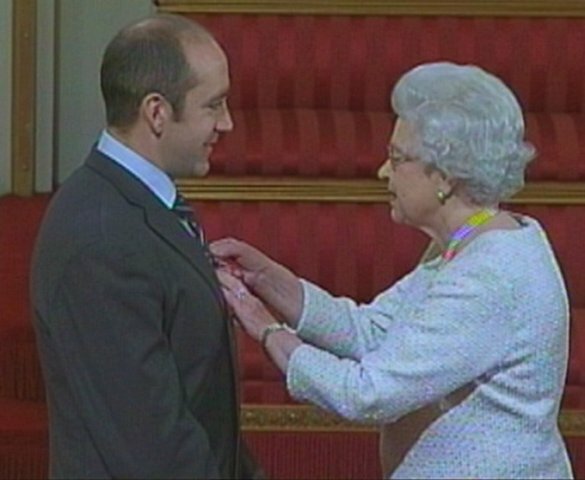 It was amazing as well as rather nerve wracking stepping up to the dais to have Her Majesty pin the medal onto my suit. Amongst some of the other recipients today were Lewis Hamilton (F1 World Champion) and David Weir (Paralympic Gold medallist). A still from some filming of the ceremony is here.